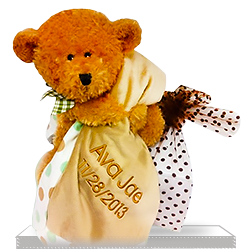 A baby is born but you don’t know the gender or simply not sure about what to send to his or her happy parents! 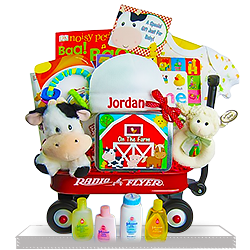 Don’t worry - we’ll help you select from our large selection of Neutral gift baskets for babies. 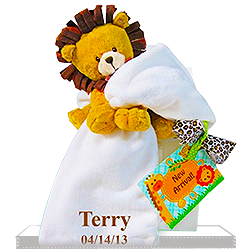 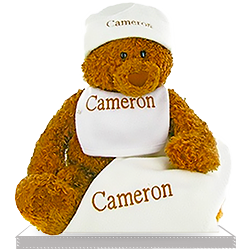 Bibs, blankets, onesie, and other things which can be personalized and embroidered with the baby’s name will be a great gift for the new parents. 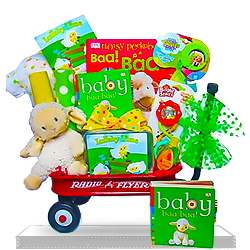 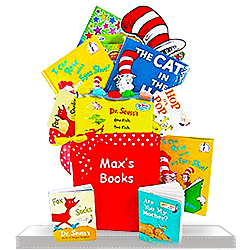 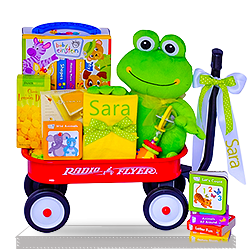 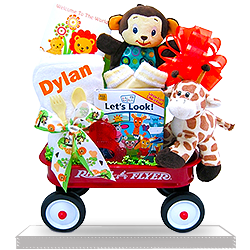 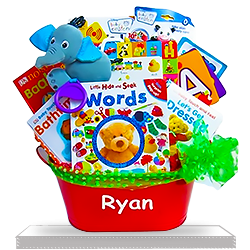 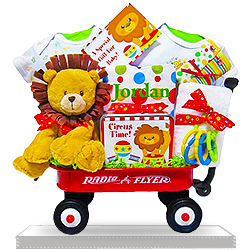 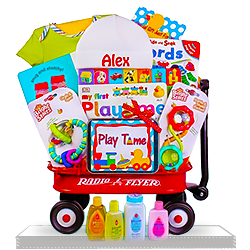 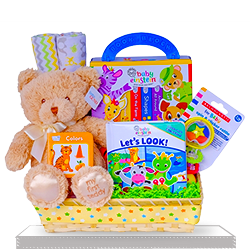 Want to send your best wishes to a couple you know who has just welcomed a baby into their lives, but not sure what to choose or the assortment of gift baskets for boys or girls is too huge and great? 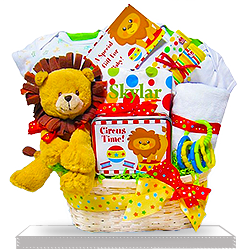 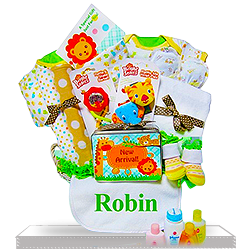 Contact us, and we’ll help you select the best gift basket for a newborn baby and embroider it with anything you’d like to wish the new parents.